In Industrial environments skin contact is a potential source of exposure to toxic materials. It is important that proper steps be taken to prevent such contact. Gloves are your first barrier against overexposure to chemicals that have proven to be a contributing factor in some health risks. Additional precautions include using solvents in a well-ventilated area and taking breaks for fresh air from time to time. -JUST GLOVES-- Medical Doctor office procedures require a glove that offers protection and manual dexterity. A textured glove is suggested for its gripping capability in wet environments and a smooth glove is best chosen for dermatology procedures. 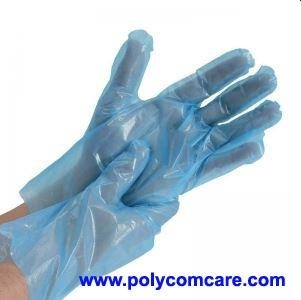 Sterile surgical gloves are anatomically designed, textured and sealed in medical peel packs. In all cases a good fit is crucial to avoid hand fatigue.